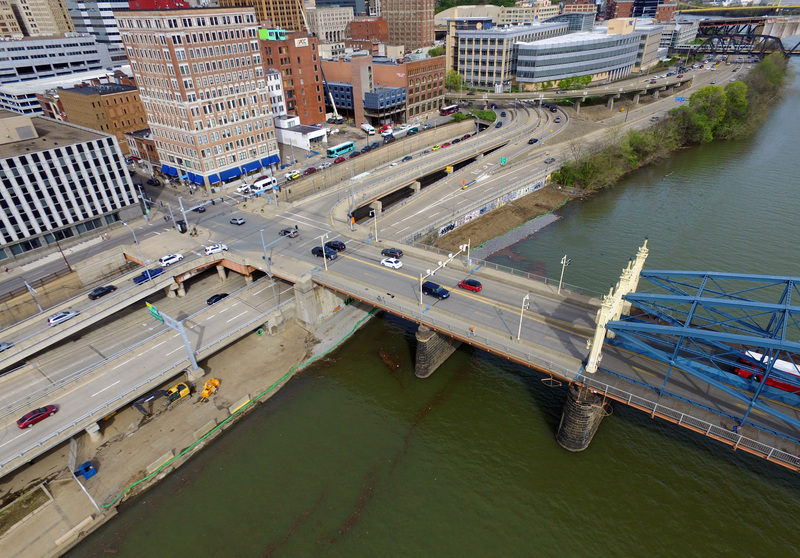 This project is the ‘missing link’ in the Great Allegheny Passage Bike Trail. 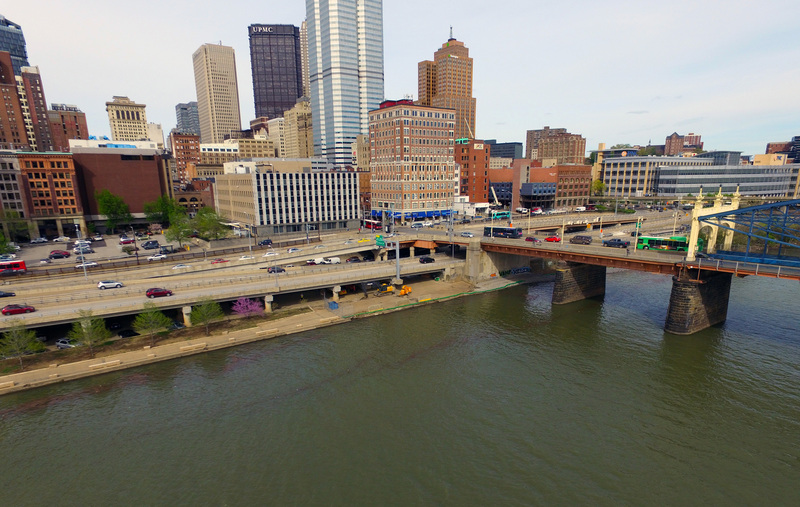 This 12’ wide Switchback Pedestrian/Bicycle Trail now provides smooth access to Riverfront Park along the Monongahela River built a few years ago by Kilgore, and will tie in the Southside with Point State Park for a captivating user experience. 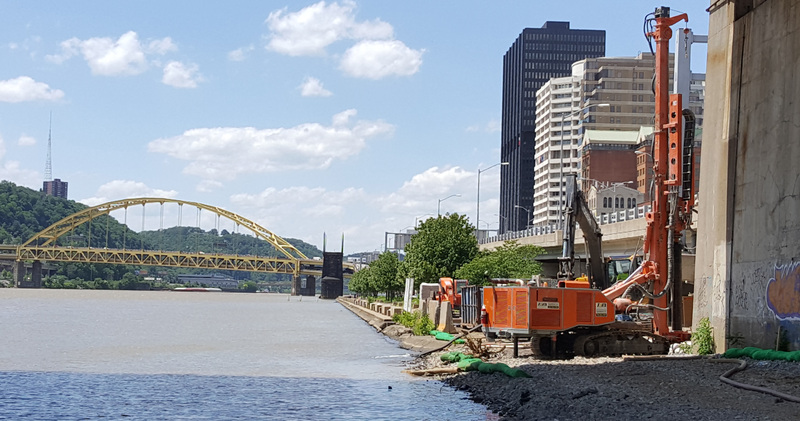 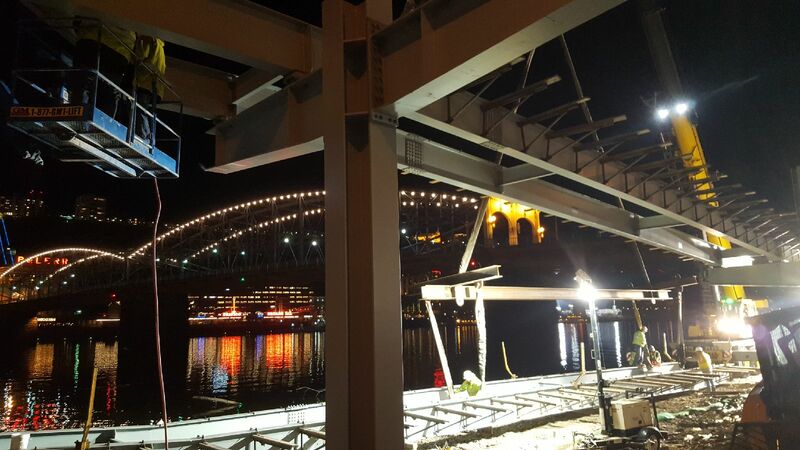 Kilgore installed micro-piles that doubled as anchors to hold the foundations firmly in place in the event of high Monongahela River flow or ice jams. 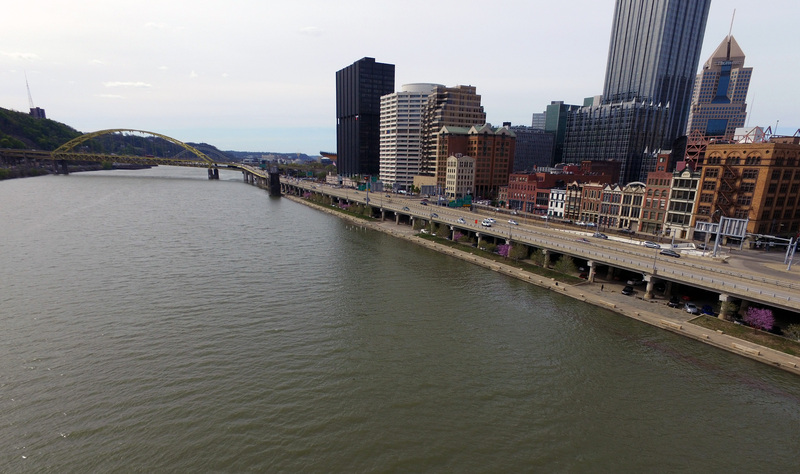 The City of Pittsburgh & River-life have a vested interest in this regional project that connects trails all the way to Washington DC.